The Royal British Hotel in Edinburgh is set to complete a £3m refurbishment and expansion by the end of 2012. The Princes Street property, which dates back to the 1820s, will add nine bedrooms to its existing 72, and the new Fratello’s Italian restaurant. 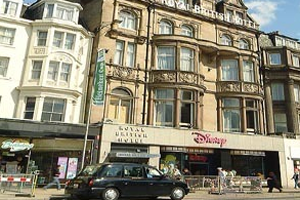 It is owned by The Cairn Group, which also owns the Holiday Inn Darlington A1 Scotch Corner, The Holiday Inn Jesmond Newcastle and the DoubleTree by Hilton Newcastle International Airport hotels. The Cairn Group is also in negotiations with an international hotel chain to rebrand the hotel.